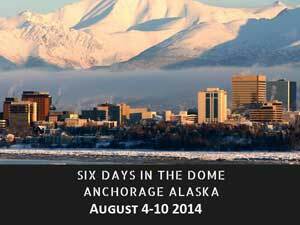 Registration is now open on Ultrasignup for the 24/48/6 day indoor 400 Meter track event to be held at the Alaska Dome next August 4th. Thanks to Christian Griffith for setting up the sixdaysinthedome.com website. More information is forthcoming but I wanted to get it up ASAP to give runners plenty of time to make plans. Should be a neat experience.